Did you know that the sun is amazing for your health? Yep, that’s right. Not only does everyone love being out in the summer sunshine for fun, but you have a bigger excuse to get outside because it can offer many amazing benefits to your body. Here are some of the top health benefits of being in the sun, and make sure that you take advantage of every bit of sun you see this year! Exposure to sunlight can be incredibly beneficial for people who suffer from high blood pressure. When sunlight hits your skin, it causes a compound called nitric oxide to be released into our bloodstream. This compound is instrumental in lowering the pressure of blood flow around the body. If you or a family member has issues with their blood pressure, the best thing you can do is take them outside for a walk in the sun. Pretty much everyone knows that exposure to the sun helps promote the creation of Vitamin D in the body. Vitamin D is an important vitamin for us to have because it helps our bodies to repair after injury, it can heal muscles and joints, and promotes strong bones. Vitamin D promotes the absorption of both calcium and phosphorus in the body, and both of these minerals are used to keep our bones strong and healthy throughout our lives. This means that the more time you spend in the sun, the less likely you are to break a bone. This is a fact we bet you wish you had known during your school years! Staying in the sun for long periods of time can produce lots of Vitamin D in the body, and Vitamin D has been directly linked to our brain function. When you have a higher level of Vitamin D in the body, you are able to learn, process and retain information much easier. It is the perfect excuse to stay sunbathing outside during your exam study period! The sun is not only good for our physical health, it can be amazing for our mental health too. During the winter months, many people suffer from a genuine mental condition called Seasonal Affective Disorder (SAD). It makes us feel more stressed out and depressed during the time where we are stuck inside. 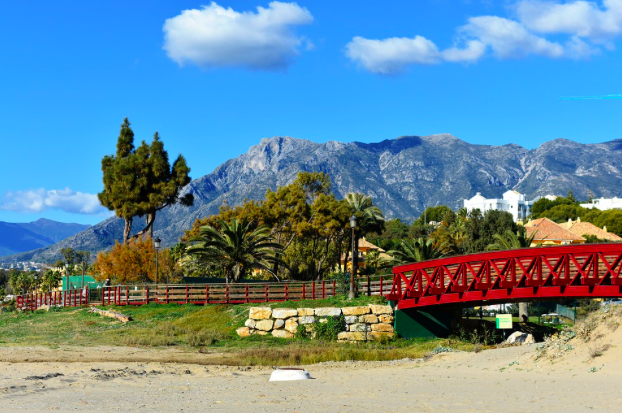 If you want to reduce stress and help yourself with the symptoms of depression, take a plane to Marriott’s Marbella Beach Resort and give yourself a week of sun therapy. When you come home you will feel much better, we promise. When we are exposed to sunlight, the light which hits our eyes sends a signal to our brain to halt the production of a hormone called melatonin. Melatonin is a hormone which makes us feel relaxed and also drowsy, so during the day the levels will stay low, and as soon as the sun goes down the levels will rise to ensure that we have enough in our bodies during the evening. This stops our levels from depleting at night and helps us fall asleep much more easily. When you have spent a day out in the sun you are much more likely to get a good night’s sleep.